New car buyers can get the biggest savings off list prices on diesel cars according to the latest research by Britain’s leading consumer champion and new car buying platform, What Car? 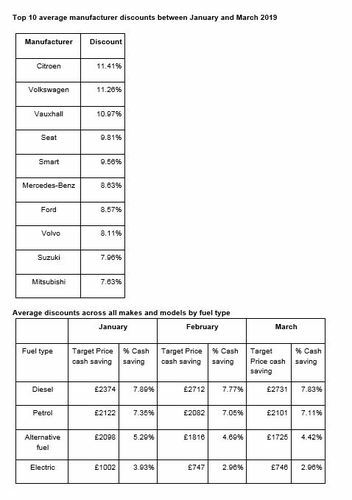 Analysis of the UK car market by What Car?’s Target Price mystery shoppers found the average discount on a new diesel car at the beginning of March was 7.82% off the list price, or £2731. 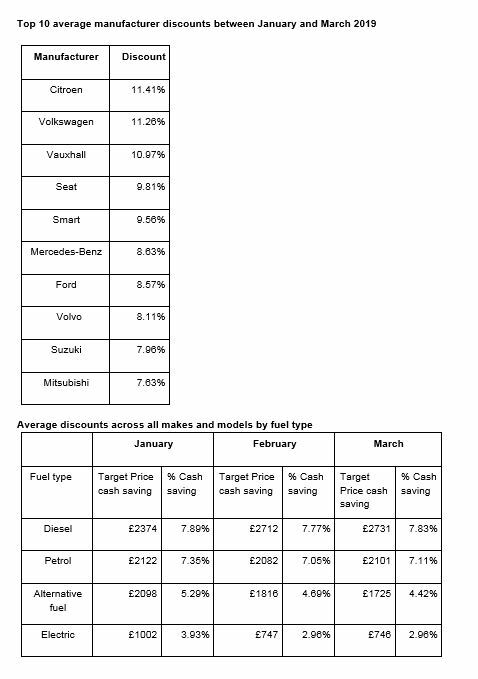 Discounts on diesel were only marginally higher than for petrol models, which stood at 7.11% or £2101. The smallest discount was available on fully electric cars, which were discounted on average by 2.96% and £746, reflecting their desirability, smaller profit margins and – in some cases – a shortage of supply. Steve Huntingford, editor of What Car?, said: “Although the slump in diesel sales has hit hard in the past 18 months, the latest figures suggest that manufacturers have now got a handle on supply and matched it to consumer demand, meaning they don’t have to discount as aggressively in order to sell stock. All new cars are available to buy with at least the Target Price discount saving through What Car?’s website, whatcar.com. Target Price is unique to What Car?. Every day a team of mystery shoppers goes out and haggles to find the best deals available across the UK. These are printed alongside What Car? reviews as well as on the What Car? New Car Buying platform to help drivers find the best deals. The deals are based on a cash deal and do not include elements like finance incentives or trade in considerations. The deals change on a weekly basis.